Are Seed Testing Methods Keeping Up with the Times? 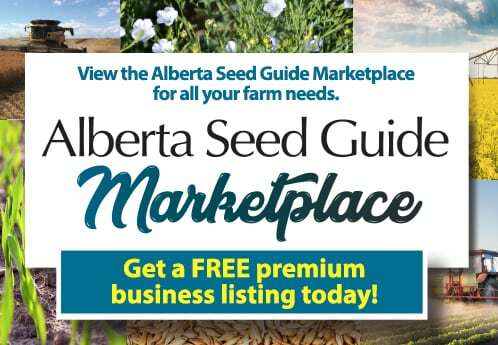 When it comes to seed quality, customers want to know exactly what they are buying and what they can expect. High quality seed is determined by its parent’s genetic makeup, physical integrity and purity of the seed, seed health and physiological seed quality, explains Lahcen Grass, the global manager for seed biology testing and product marketing support at the Syngenta Seedcare Institute. The term is wide ranging, she says, and encompasses purity, variety, problems of seed health, germination and vigour. She says it also includes whether or not the seed is genetically modified, and factors such as moisture content and seed weight. “We hear a great deal about plant breeding, but the product of plant breeding is only as good as the quality of seed produced,” Powell says, noting much of that depends on seed production conditions. Grass agrees. “The quality of a given year’s seed is determined by the prevailing weather and field conditions from the previous year, and subsequent processing and handling practices,” he says, adding that you also have to consider if it was harvested at its highest point of physiological maturity. The latter property can be determined by two separate tests: a germination test and a vigour test. However, these tests are not created equal. While each seed company has its own proprietary method for conducting vigour tests, Powell points out that standardized vigour tests are published in the ISTA Rules for Seed Testing and are used worldwide. Vigour tests often impose stressful conditions on the seed during germination and emergence. The ISTA tests include several different tests but are all based on the main cause of differences in vigour, namely seed aging. 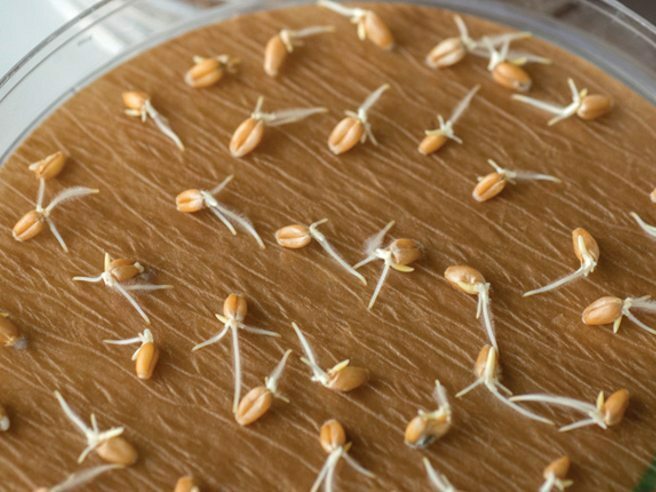 “High germination seed lots from the same variety and year can yield good germination test results but score very different on vigour tests,” Grass says. “Generally, seed susceptibility to stresses that lead to poor and uneven field emergence are typical features of seed with lower vigour, not of lower germination capacity. Seed vigour is unlike germination in that it’s not an absolute number. The expression of vigour depends on field conditions and is affected by oxygen uptake, water uptake and soil temperature. Thus all seeds will emerge well in favourable conditions, and differences in emergence due to vigour only arise in poor conditions. Sarah Foster, president of 20/20 Seed Labs, agrees. Grass says this information can then be used to rank seed lots based on germination. For example, if the germination rate is low, there’s no need to test it for vigour. With a focus on vigour, Powell and the ISTA Vigour Committee constantly think about the development of new tests and the potential for automation, which can dramatically speed the test results. For example, Powell says the radicle emergence test depends on the physical counting of emerged radicles, but the use of image analysis can drastically speed the process. Just as scientific advancements are made in plant breeding, so too are they in the seed testing sector. But are the rules and standards set forth keeping up with these new breakthroughs? In 2009, Joost Van der Burg, a member of ISTA’s Advanced Technologies Committee representing the Netherlands at the time, inventoried the most promising technologies that were either in the pipeline or had emerged and were available for use. The technologies, he says, usually involve some investment and they sometimes take a decade or more to mature, so it’s understandable that some secrecy surrounds them. Powell acknowledges there are new technologies, developed by equipment companies, which are beginning to come into the market. The challenge, she says, with many of the tempting new technologies is that they’ve only been tested using select material, not commercial material. Powell explains that ISTA’s Seed Science and Advisory Group can evaluate the efficacy of equipment that is marketed as a means of testing seed. However, having worked with students from Nepal, Bangladesh and Kenya, Powell says she’s particularly aware that not all countries have modern laboratories and equipment. “That’s why it’s necessary for the association to recognize a wide range of tests,” she points out. “Our vision within the International Seed Testing Association is ‘uniformity in seed testing,’” Powell says. “We’ve worked hard to get the rules and testing standards we have today in place. Foster, who is also an ISTA auditor, which means she helps to audit government laboratories and is committed to promoting the seed industry, says: “Yes, ISTA is current with the times and keeps working toward introducing new rules.” There’s a great deal of work going on internationally, she adds, and ISTA’s focus remains strong to incorporate new standards. Powell explains the test methods approved by ISTA today underwent rigorous research and numerous studies to ensure accuracy and the ability to replicate. The characteristics tested for today are the ones industry has found to influence seed performance. If you want good emergence, then the seed needs to have a high germination rate and good vigour, Powell emphasizes. If you need seed of a certain variety, then you want excellent purity, she adds. When working toward adoption of new testing methods, ISTA follows a Method Validation Programme. Technical committees conduct appropriate background research and development for different tests. This is followed by six laboratories completing the test using the specified protocol and preparation of a report from the data. Then there’s a technical and a statistical review of the report to determine if the validation has shown that the test is repeatable and reproducible. If the validation is satisfactory, then the test is proposed as a new rule. If approved by ISTA members, it can be introduced into the ISTA Rules. The subsequent application of the test by ISTA laboratories is monitored through an auditing process and proficiency tests in which ISTA accredited laboratories are sent the same sample, asked to perform a test and expected to get the same results. For some tests, there are a number of methods that can be used. As an example, a number of approaches and equipment have been developed to determine if seed has been genetically modified. Powell explains the approach ISTA has taken to ensure uniformity in testing is that a laboratory can use a combination of approaches, as long as we get the same results. ISTA’s Seed Science Advisory Group looks at practical and applied research. Comprised of eight people, representing Denmark, France, the Philippines, the United Kingdom and the United States, the group is responsible for reading publications and scientific literature to see if there are ideas, concepts or technologies that need to be further developed. “We all want seed to perform for customers,” Powell says, noting seed performance impacts the entire value chain.